When we present the China on French television, there is often the same stereotypes about China, we merely show China as a producer who push to offshoring thanks to production costs lower. But China is a formidable competitor for other reasons and also begins to illustrate that the production capacity at low cost. An area illustrates the progress of China: that of mobile phones. 1st stage: For years China has been a country of production merely producing phones designed and sold in the West or in Japan under the name Western / Japanese. 2nd stage: China has become a country of design, where the phones are both products but also thoughtful. These thinkers producers then sell the finished product to one or more brands from the West who sell it under their name. 3rd stage: China is now a country brand. Producers realized they owned and tool production and knowledge of design but the $ are mainly around the monetization of the brand. This transformation could be observed for example with a Chinese company (Taiwan) named HTC / Qtek. It quickly grew in step 2, producing phones for telephony giant worldwide (including operators such as Orange and T-Mobile). Then she wanted to test the market by selling directly under a brand it (Qtek) the same products sold under the names of its clients. 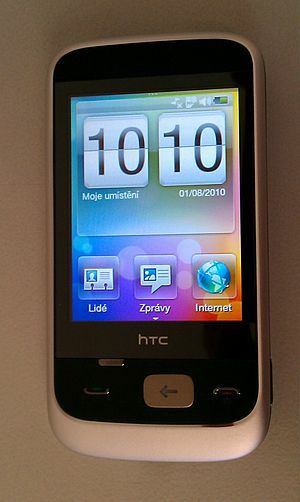 A phone like the HTC Wizard and was marketed under the name Orange SPV M3000, i-mate K-JAM, O2 XDA Mini S, T-Mobile MDA Vario, Dopod 838 and QTek 9100 (HTC brand). The tests are conclusive, the Taiwanese company has decided for its next-generation phones to unveil completely selling directly under the name HTC (and not Qtek) and limiting the number of players can sell their phones on their behalf 1 or 2 players. The Taiwanese company HTC has turned a corner again, closer to the final consumer and intends to make HTC a well-known general public and not only buyers of large groups of telephony. Things are progressing well since HTC was plébicitée by many geeks & other fans phone in 2005-2006 for its smartphone. And that is the scourge that threatens our country today: not only China is a producer with whom it is difficult to compete but our competitive advantages which were mainly placed in the knowledge / technology design and brand are now also seriously attack. This is especially true as locations in China Western companies are often made through technology transfer and the Chinese company does not go from 0 to compete with us. 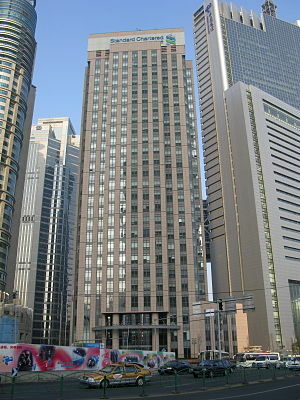 However, these sites in China are essential for the development of our business. The solution (and there is nothing original here) lies in investment. It is time that we stop trying to save industries or sectors (such as agriculture) on which is more competitive and we invest more money in the search for tomorrow’s technologies which alone will enable us to make a difference and create jobs self-financed. Could change this perspective by saying that the transformation of China is not so different from that experienced by Japan or Korea that knows that for the past few years at a less advanced stage. Except that the size and population of China give more weight to these significant changes. Since my arrival in China, I have experienced different scenarios and also several institutions. Enough to say that there is no quick and easy solutions with any local bank. Perhaps foreign banks such HSBC or Standard Chartered offer better services. In any case I am Chinese sauce. I do not really have a choice because my salary is paid in China by a local company, not the choice of the bank (yes, that’s how here). After the student who seeks to recover some money from France to discover the intricacies of the Chinese banking system with some vocabulary to make ends meet month after LIFE paid only in France must do the same thing but all the months backwards so it’s a nightmare, it is now the local employee who has any budget at hand, but who wants to go to the next level of mastery of the Chinese bank: I do not move anymore bank, I do everything online! You say, already have the cash on themselves, it is impossible, it must necessarily pass to the distributor. So these days I go more towards my ultimate goal. My office is all good because I am equipped with the standard Windows XP with all browsers that need the necessary (and hated) Internet Explorer: the portal of online banking in China. I must make articles about all this is quite a system for successful online transaction here. But today I write this post to dump my bile after an afternoon move to attempt the impossible: to use its online banking on a Mac. Because if I am to work on Windows, my home is rather reign with Apple computer Mac, iPhone and everything else. Unless you are an ultra geek ready to corrupt his machine in order to have the displeasure of his surfing online account (install a virtual machine, create a Windows partition on your Mac, …), for those who want to stay on means “light” is mission impossible. But I’m seasoned: engineer in the web and used to “China, laowai life requires perseverance,” the hack and multiple tests that knows me. Well, this time I came across a bone. Insoluble problem in some ways, that my mind can not accommodate troubleshooter. Impossible that would identify me on my Bank of China account from my Mac or iPhone. What makes it so difficult for us Mac users? install a small application before it “safe”. exe, ie that reads on Windows systems. These two constraints are intended to provide more security. It is already very funny to read this because IE is probably the worst browser on that side. 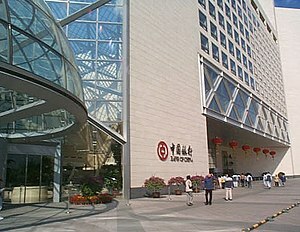 But mostly what we say lack of accessibility for customers of Bank of China! Mac is not negated by the opposite. Is China’s interest to promote Windows? Or is it just pure laziness and ignorance latent diversity navigation tools online? After all I heard was that Taobao now usable in Firefox, it is time that others follow the steps and they press the accelerator to the compatibility and accessibility as essential tools for all users! There, I said it. I may be forgetting is that in China … But now, this type of lock, in our era, it makes me nuts! I tried all the settings imaginable. Without success. Ready for anything, I even installed an old version of IE for Mac … in vain. Sure looked side extensions for Firefox and Google Chrome: blank. I even spent Geekette step: installing an application designed to make Windows compatible applications for Mac, only in software mode. Interesting concept and may be useful in the future. I still managed to install IE6 on my Mac with it, but once rendered on the page of the bank (through the back door, not yavait address bar! Must be resourceful in China I you say! ), bah no way to display the login form. For those interested, this app is an Open Source project: Wine.